You can play Plague!!! on this website so you don't need to download and install the game on your computer. We recommend to use Google Chrome when playing DOS games online. This is a liberated game: it was originally shareware but author John Shramko generously released it as freeware. 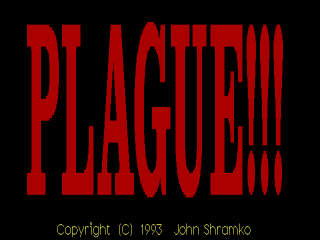 PLAGUE23.zip is the registered (full) version and plague2.zip is the shareware version, archived for historical purposes. 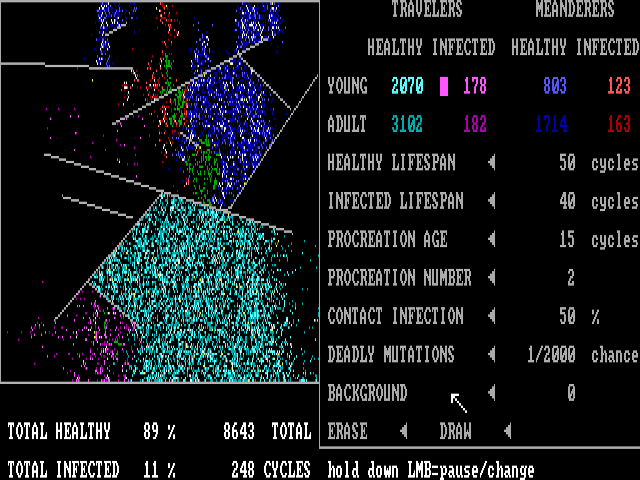 An educational game that simulates the spread of infections in populations of organisms. 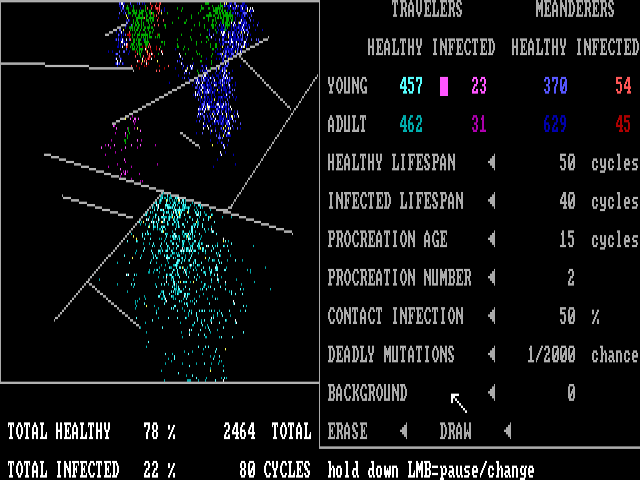 The player may design different scenarios with varying parameters that affect how organisms will behave.